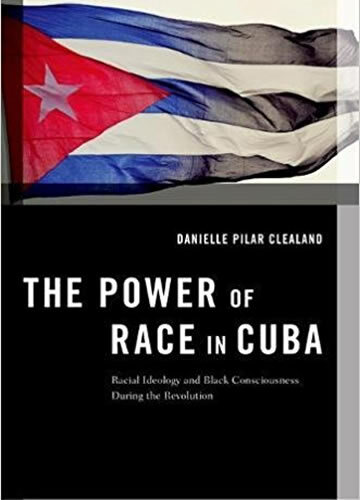 In The Power of Race in Cuba, Danielle Pilar Clealand analyzes racial ideologies that negate the existence of racism and their effect on racial progress and activism through the lens of Cuba. Since 1959, Fidel Castro and the Cuban government have married socialism and the ideal of racial harmony to create a formidable ideology that is an integral part of Cubans' sense of identity and their perceptions of race and racism in their country. While the combination of socialism and a colorblind racial ideology is particular to Cuba, strategies that paint a picture of equality of opportunity and deflect the importance of race are not particular to the island's ideology and can be found throughout the world, and in the Americas, in particular. By promoting an anti-discrimination ethos, diminishing class differences at the onset of the revolution, and declaring the end of racism, Castro was able to unite belief in the revolution to belief in the erasure of racism. The ideology is bolstered by rhetoric that discourages racial affirmation. The second part of the book examines public opinion on race in Cuba, particularly among black Cubans. It examines how black Cubans have indeed embraced the dominant nationalist ideology that eschews racial affirmation, but also continue to create spaces for black consciousness that challenge this ideology. The Power of Race in Cuba gives a nuanced portrait of black identity in Cuba and through survey data, interviews with formal organizers, hip hop artists, draws from the many black spaces, both formal and informal to highlight what black consciousness looks like in Cuba.